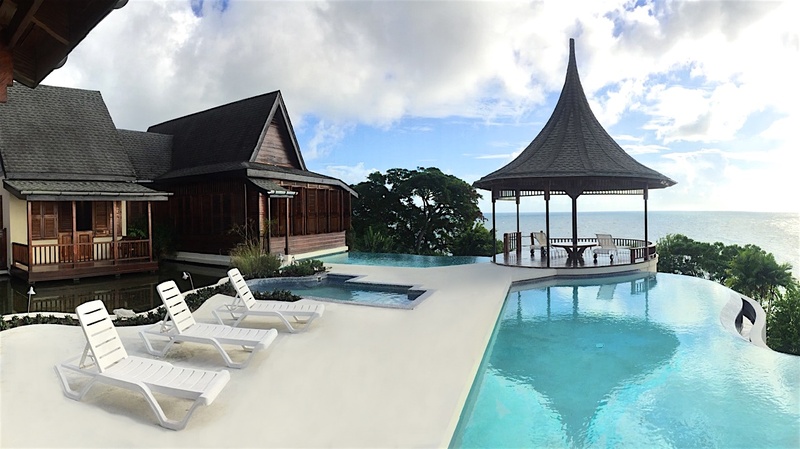 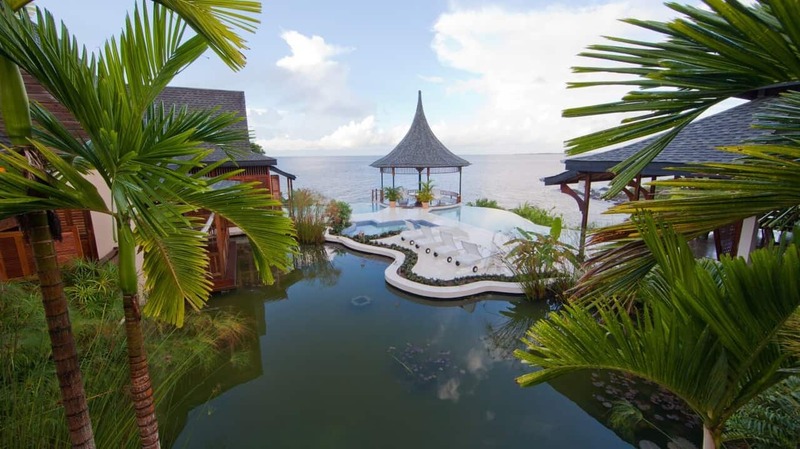 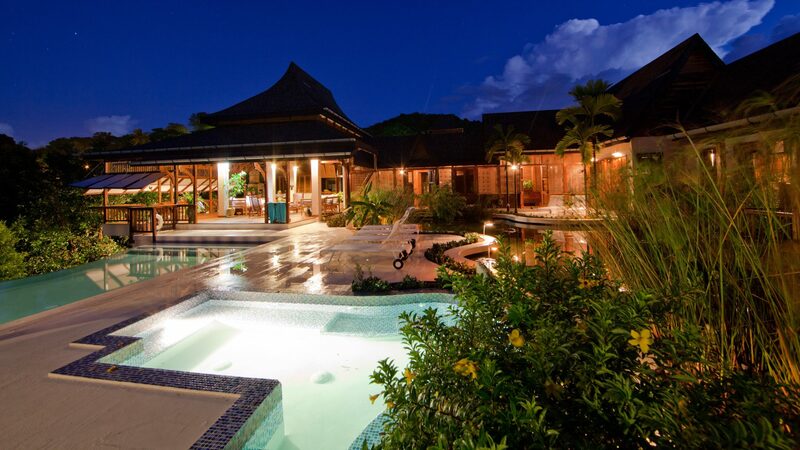 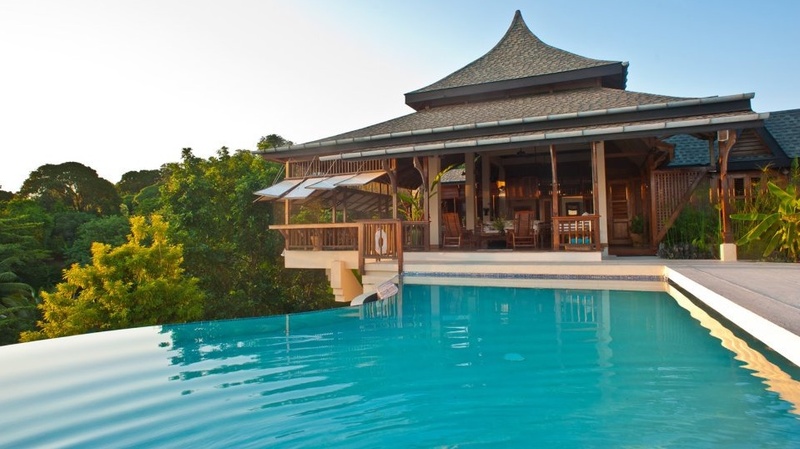 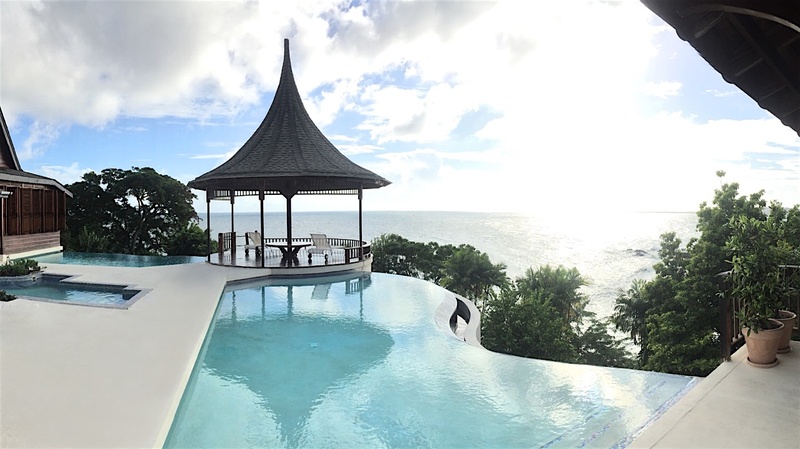 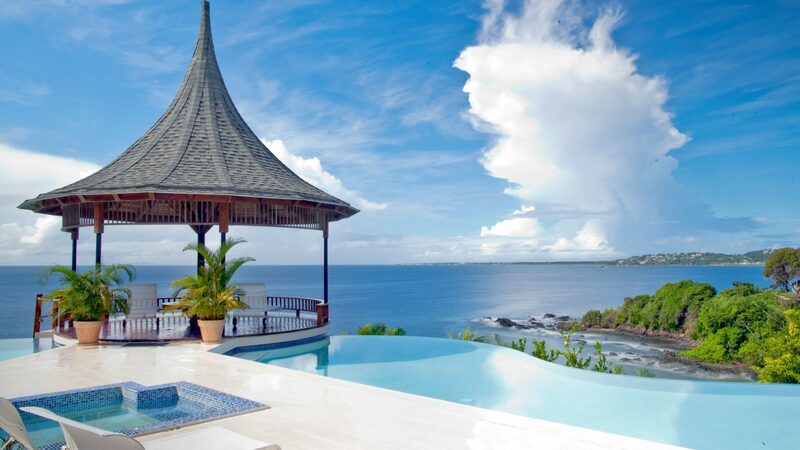 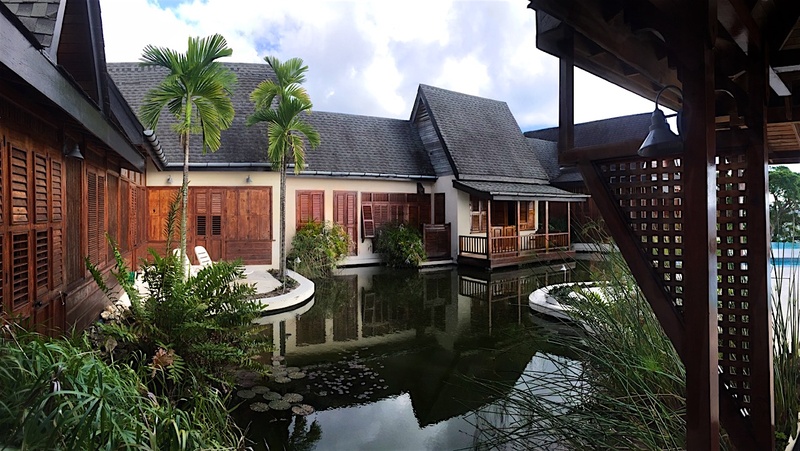 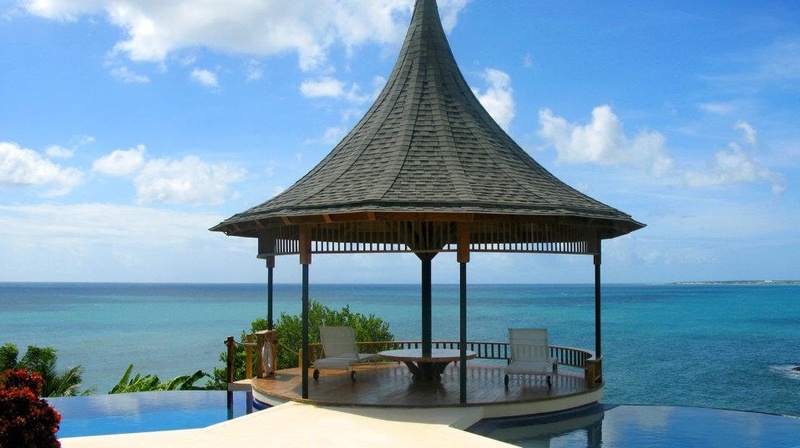 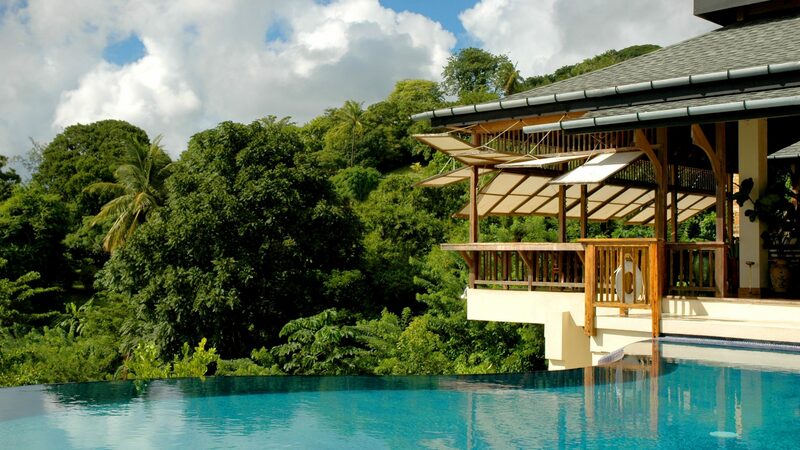 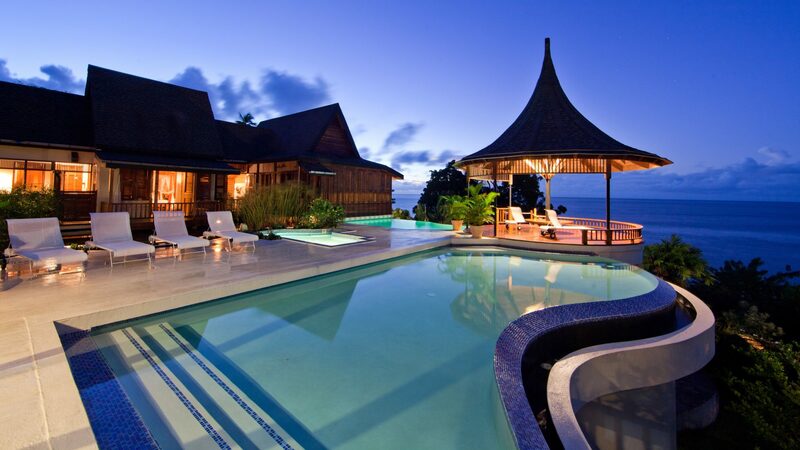 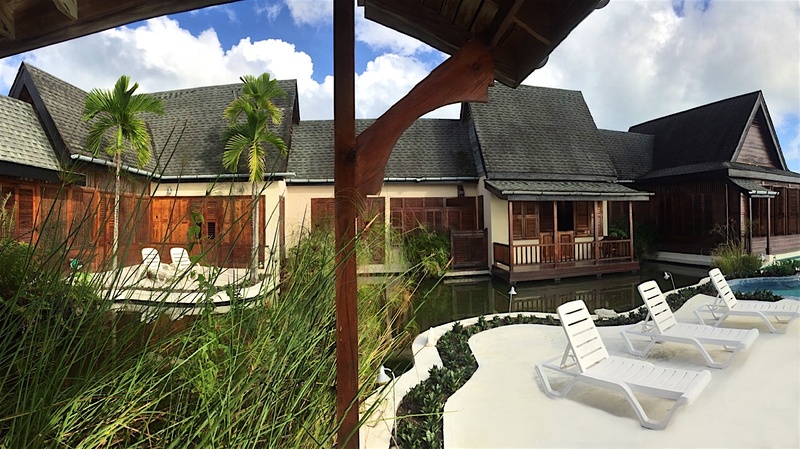 Designed by John Otway, one of the Caribbean’s premier architects, as seen in The New York Times and voted among the top twenty villas in the Caribbean by Conde Nast Traveler, Ohana Villa stands out as one of the most striking villas in Tobago and the Caribbean. 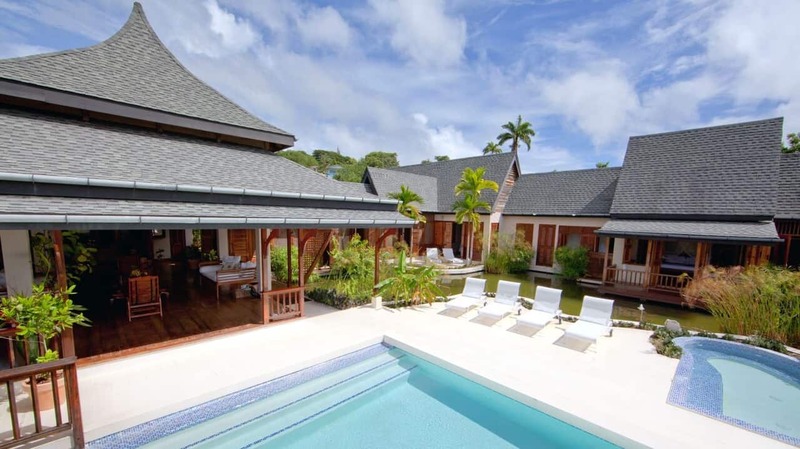 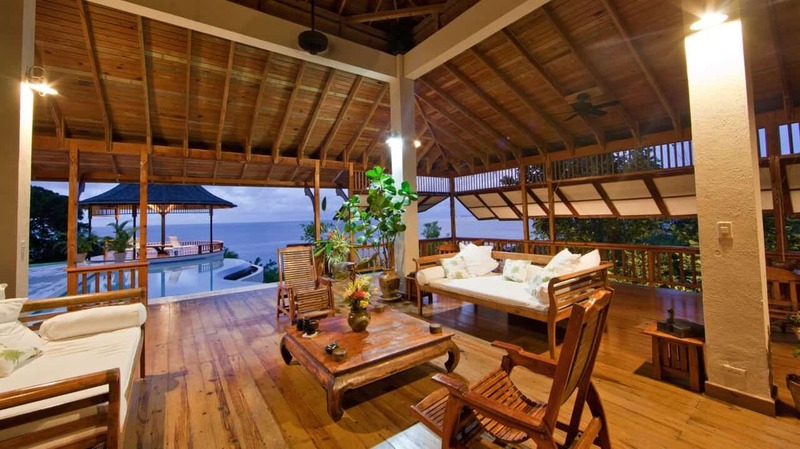 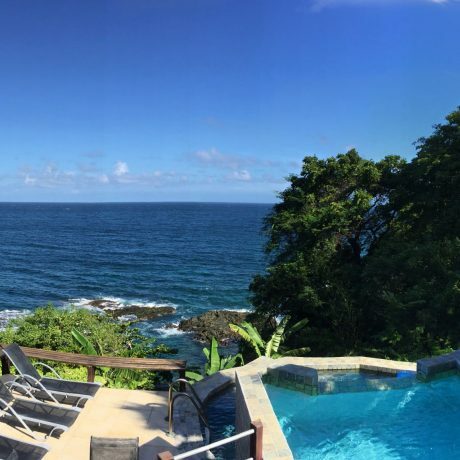 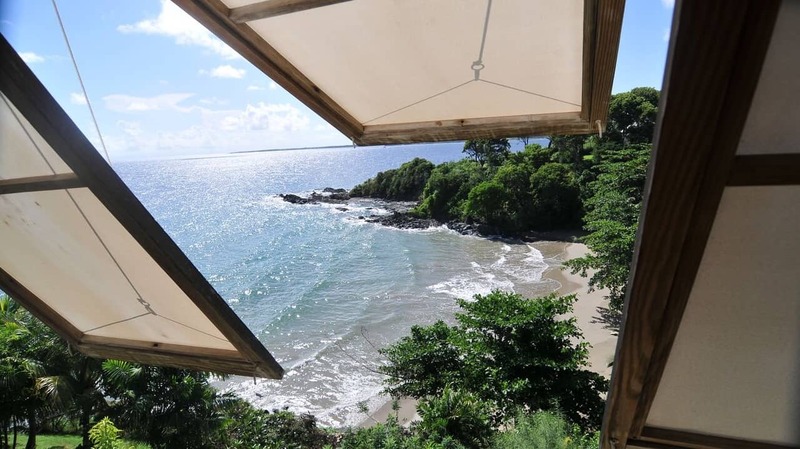 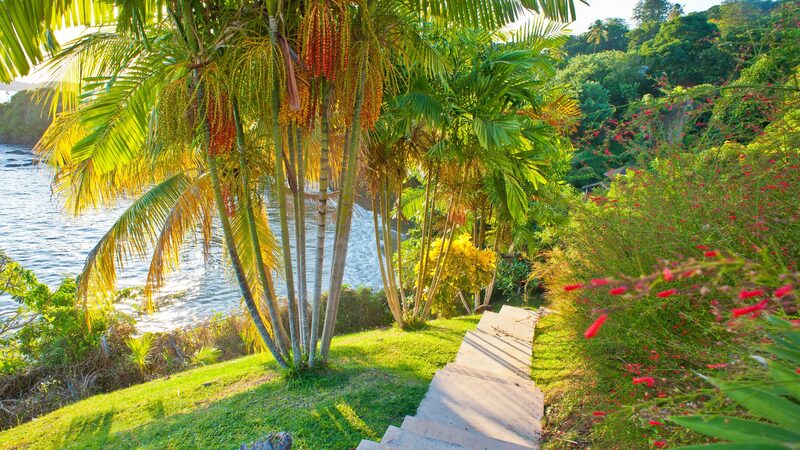 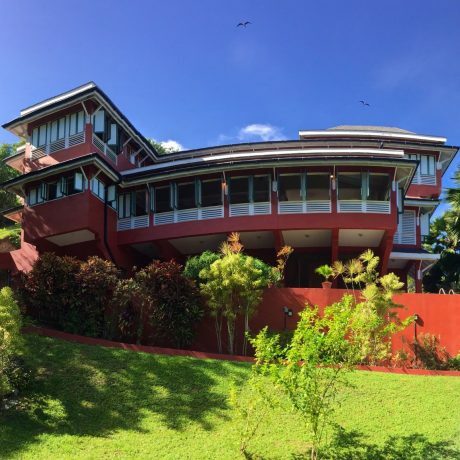 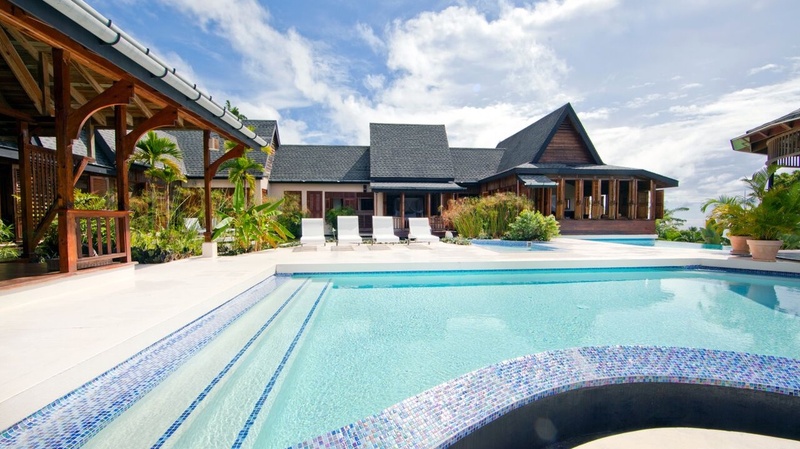 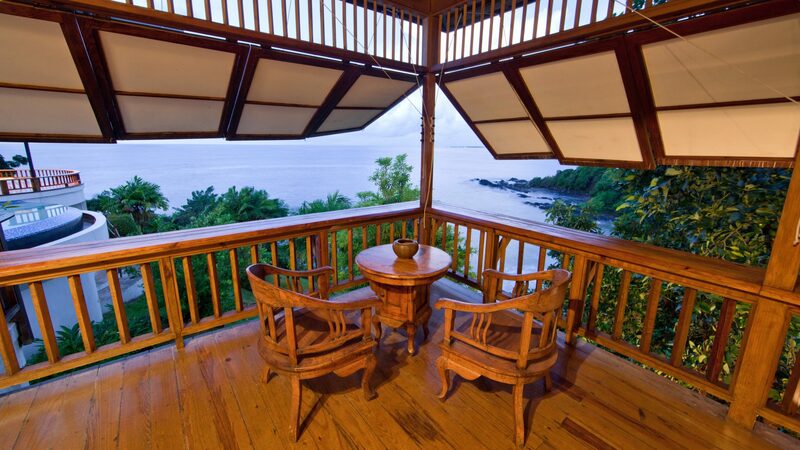 This luxurious, Balinesian inspired 4 bedroom, 7,000 square foot villa, which is Hawaiian for family rest-house, is nestled on an acre lot on a clifftop in Bacolet Tobago with high ceilings and panoramic views of the Atlantic Ocean. 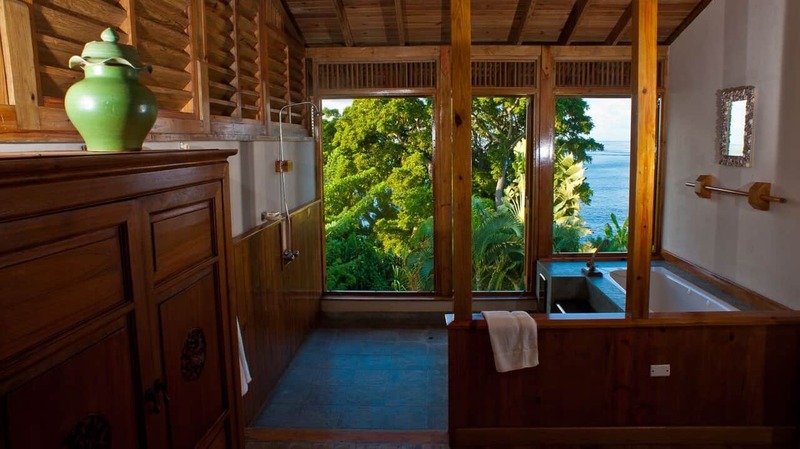 Prepare to be amazed by the views from three of the four luxurious ensuite bedrooms. 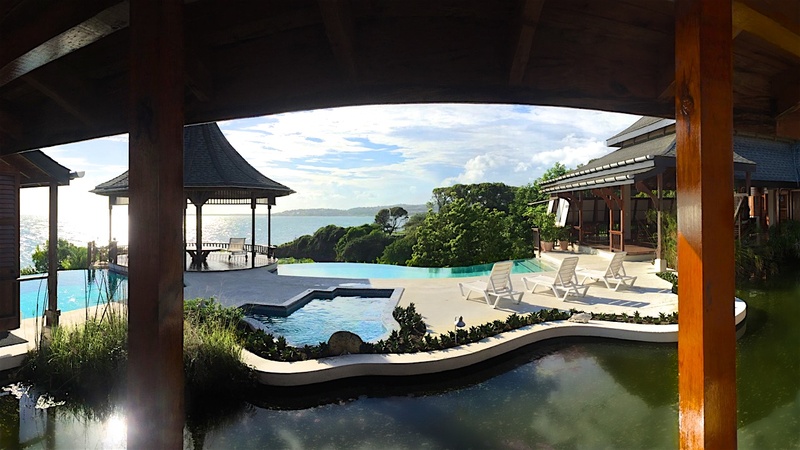 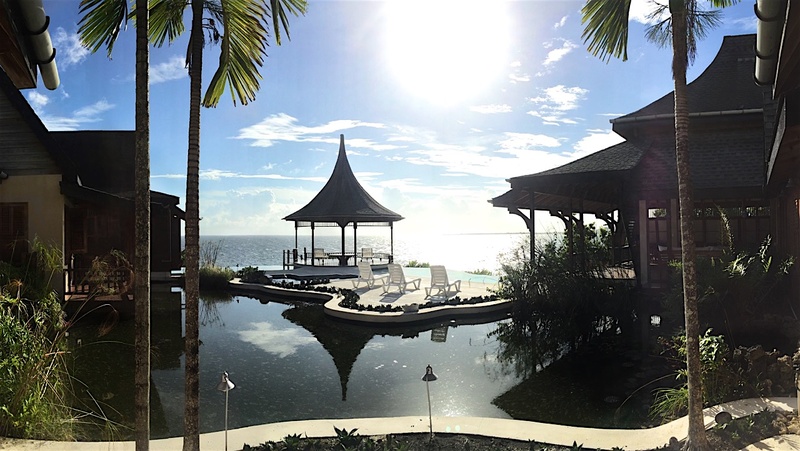 Two of which each feature an individual private terrace that overlooks a large deck of two infinity pools, a jacuzzi, koi pond and the sea. 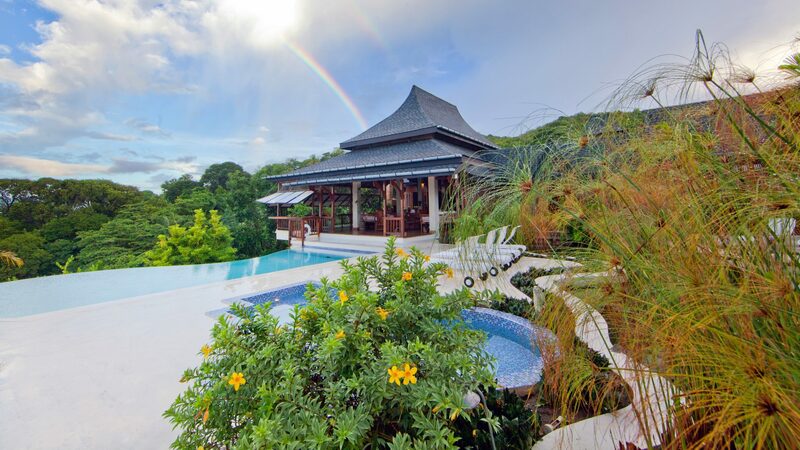 Ohana villa provides a harmony of organic and intuitive elements that combine to form a sanctuary of comfort, privacy and serenity. 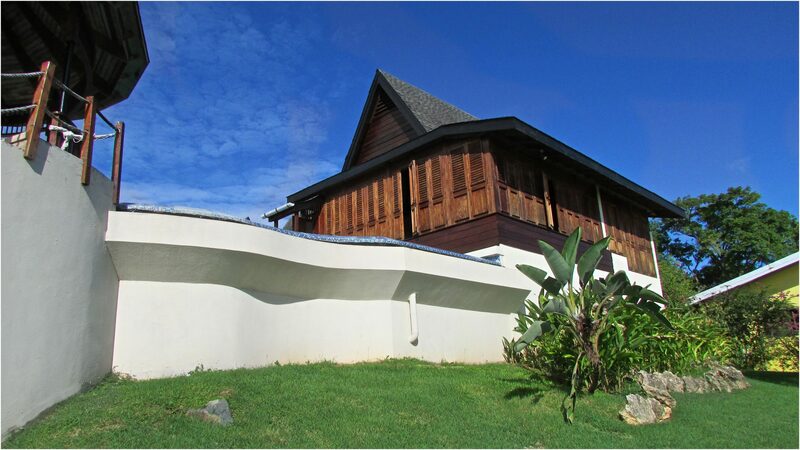 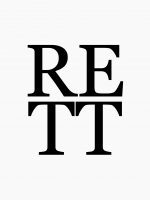 The house is orientated with the prevailing trade winds with the purpose of making living on the island as cool and peaceful as possible. 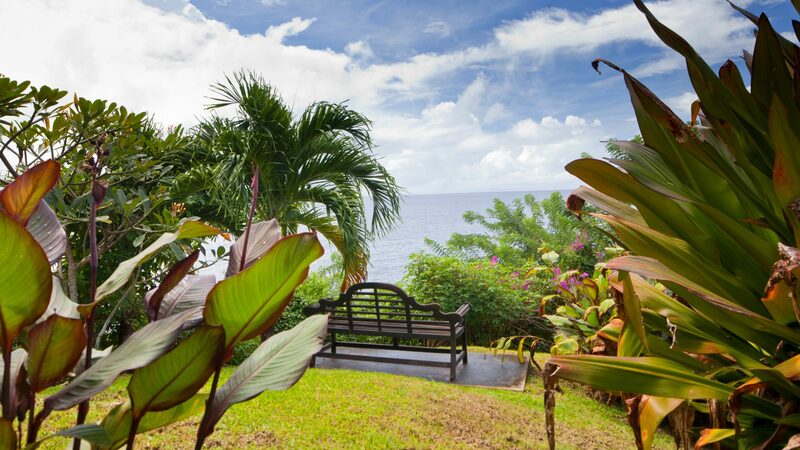 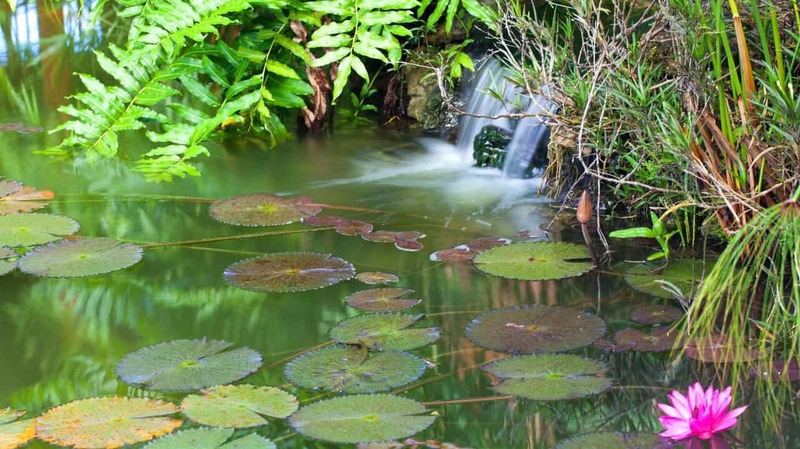 The garden is littered with tropical and exotic flowers and goes down to a small sandy cove, protected by a reef just out in the bay. 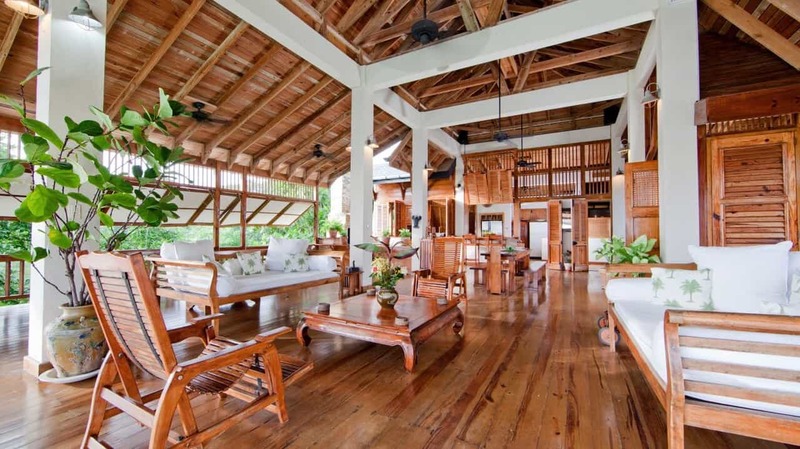 The open living area and four bedrooms surround the large deck. 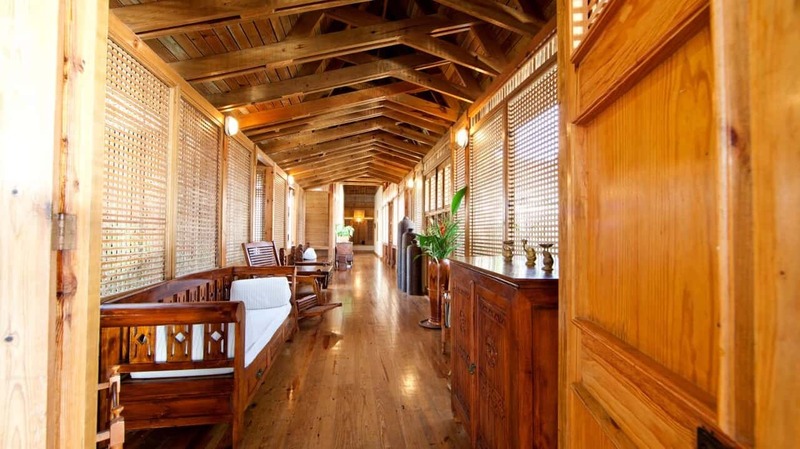 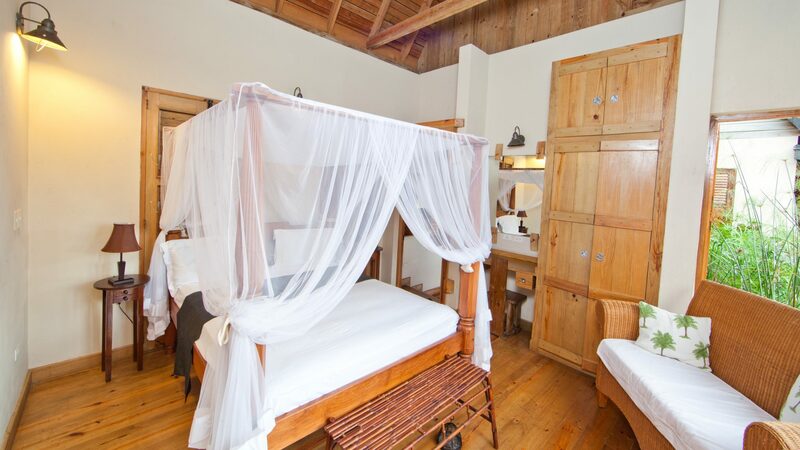 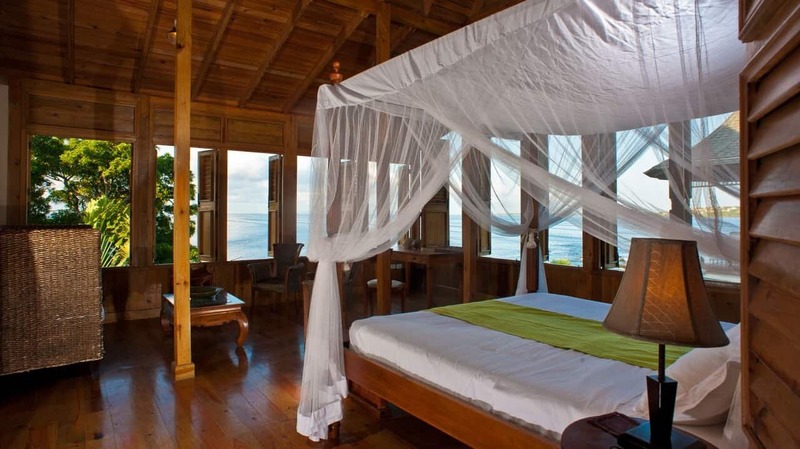 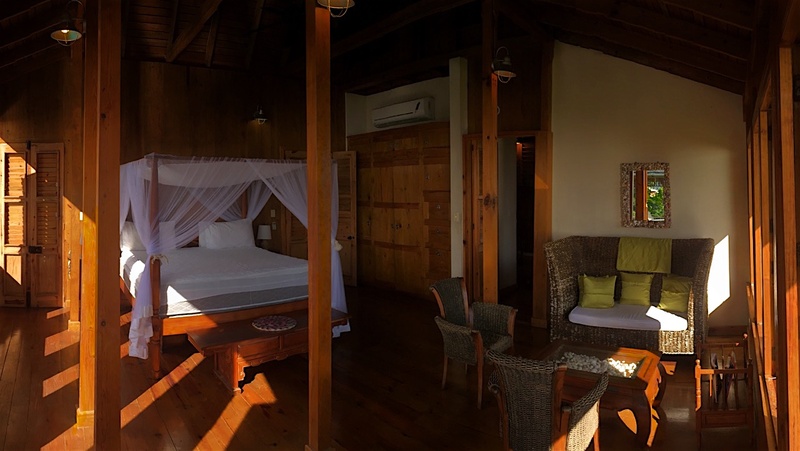 Each bedroom is lavishly furnished with a four poster bed, air conditioning and overhead fans. 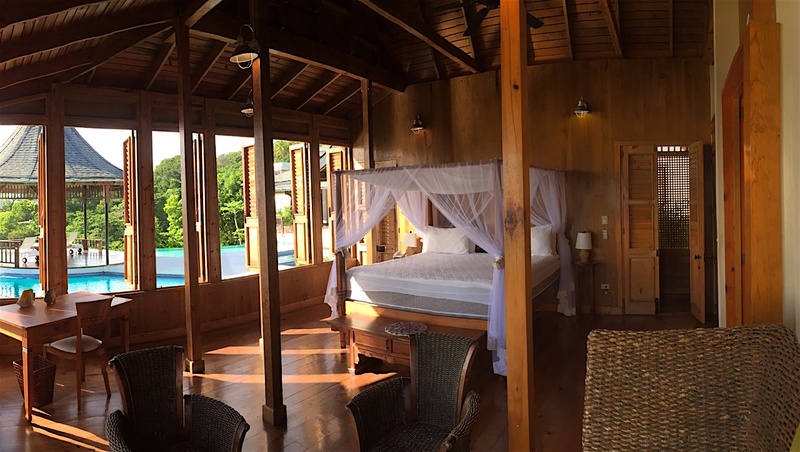 The master and its huge en-suite bathroom feature shuttered windows which open out allowing you to shower, or lounge while watching the sun sparkles on the turquoise water below. 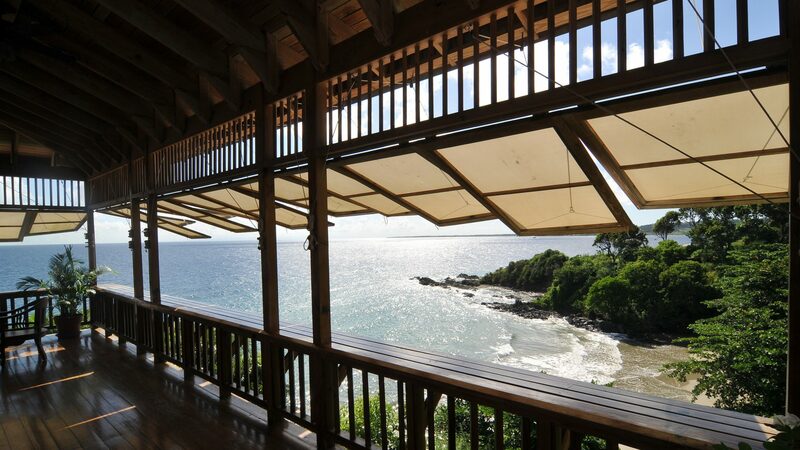 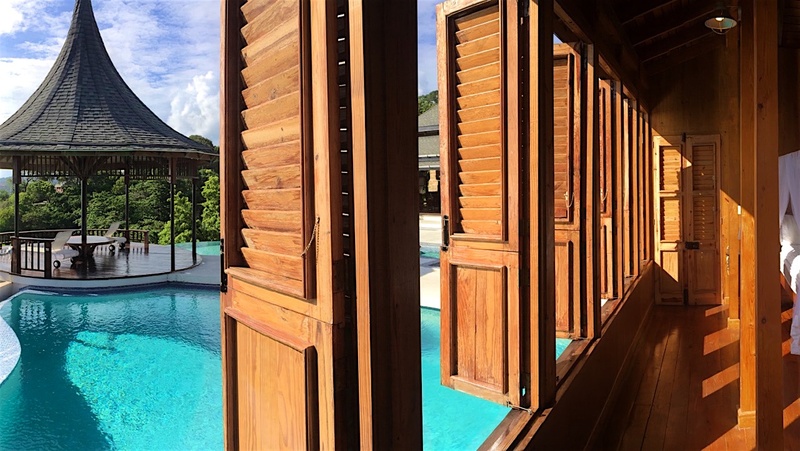 The villa’s open and breezy kitchen is completed with Demerara windows throughout which open to give a view of the beach below. 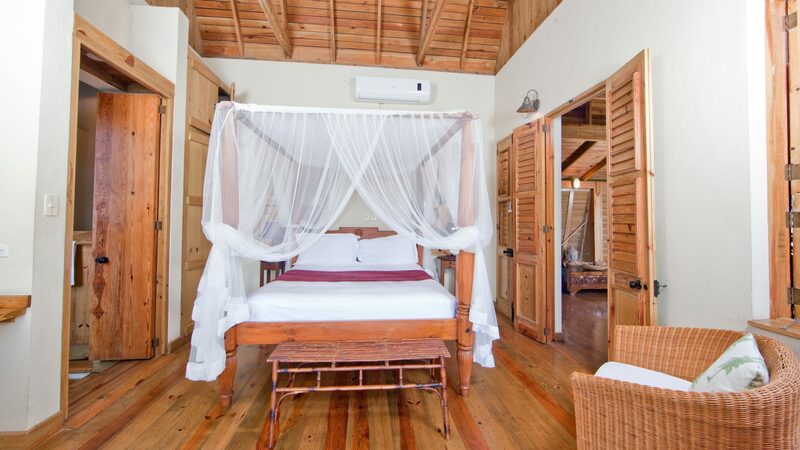 The villa’s kitchen also comes fully equipped with ample appliances, some of which include a dishwasher, a large stainless steel fridge and another for drinks. 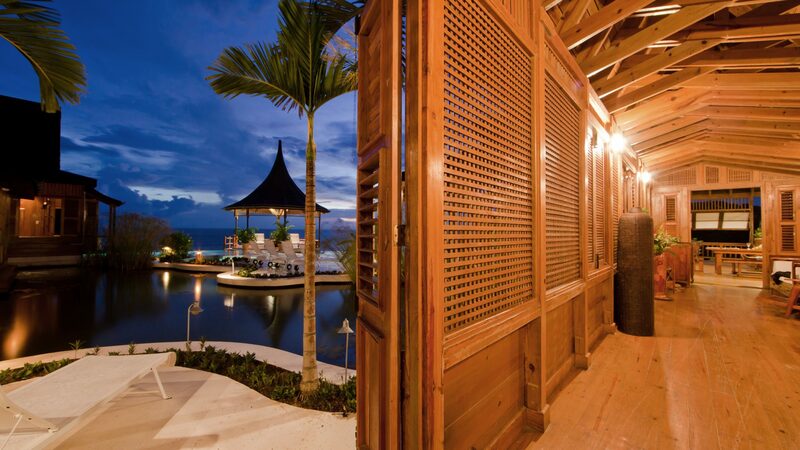 To one side is an open barbeque area, on the other a pantry and a utility room with a large washer and dryer. 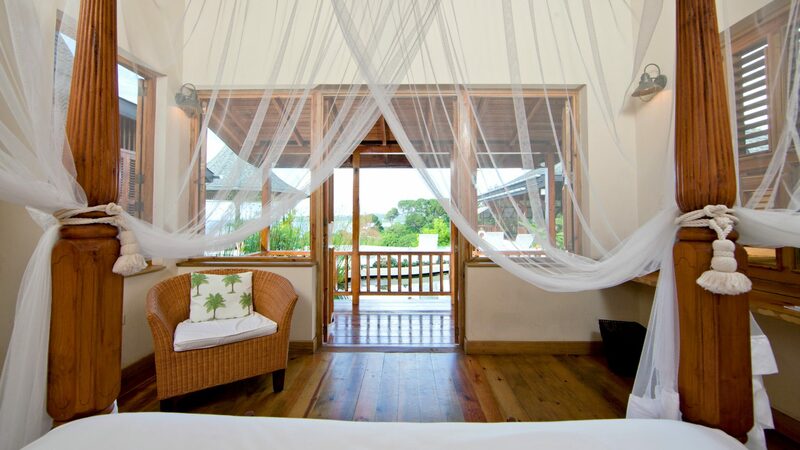 Just off the kitchen is the luxurious, vast, open living room with canvas shutters and views of the deck and bay. 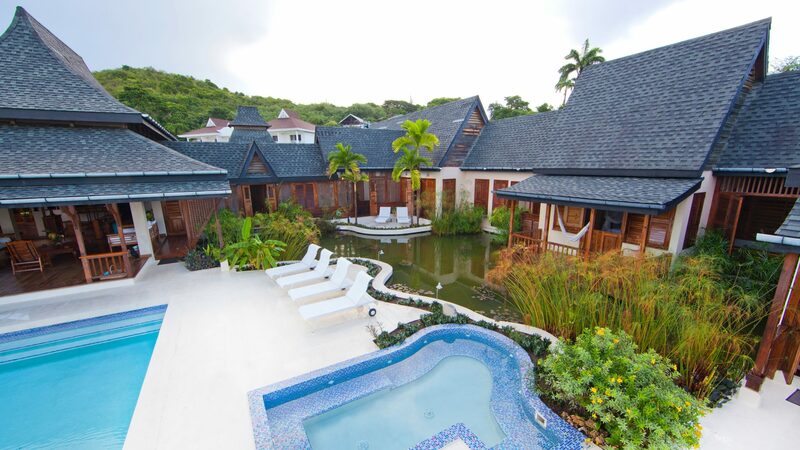 The shutters allow you to decide if you’d prefer to permit the ocean breeze to work their relaxing charms, or if you’d like to relax and gather with your family and friends in the shade. 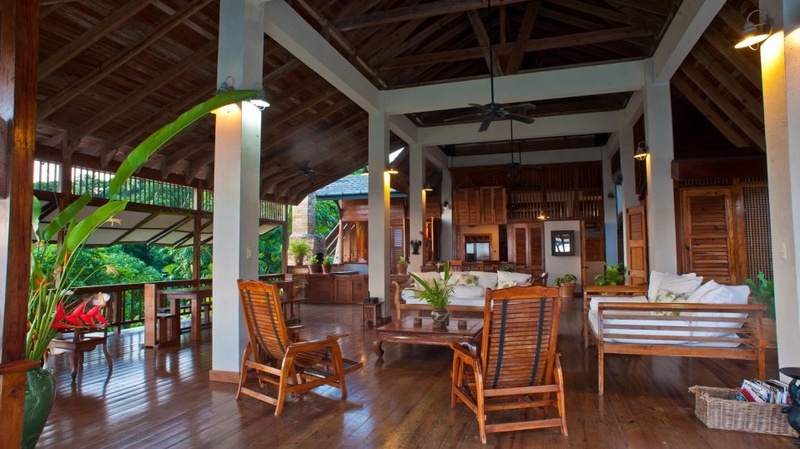 Close by are four teak armchairs for you to recline with your refreshments. 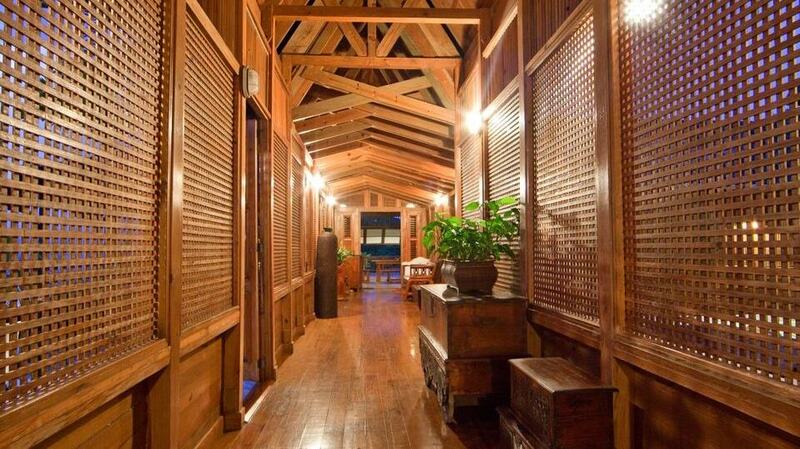 Just underneath, Ohana Villa features a storage room of about 1,076 square feet. 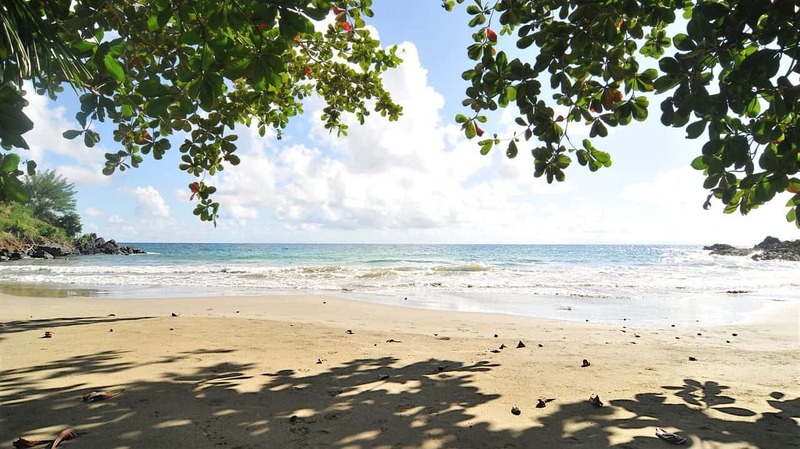 Tobago is full of enticing activities and day trips, from beautiful nature reserves, to beaches, surfing, waterfalls, as well as excellent diving and deep sea fishing. 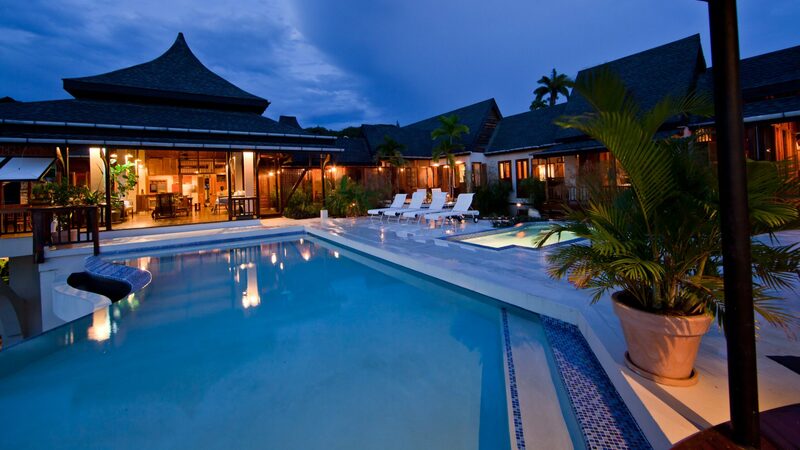 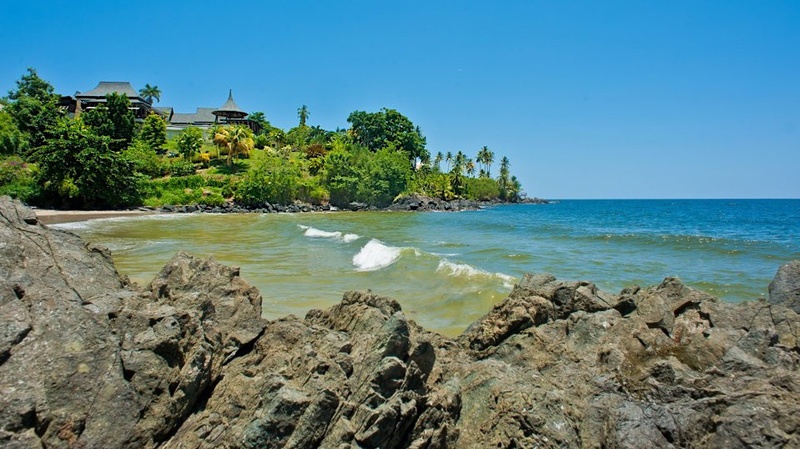 Tobago also features two award-winning 18-hole championship golf courses. 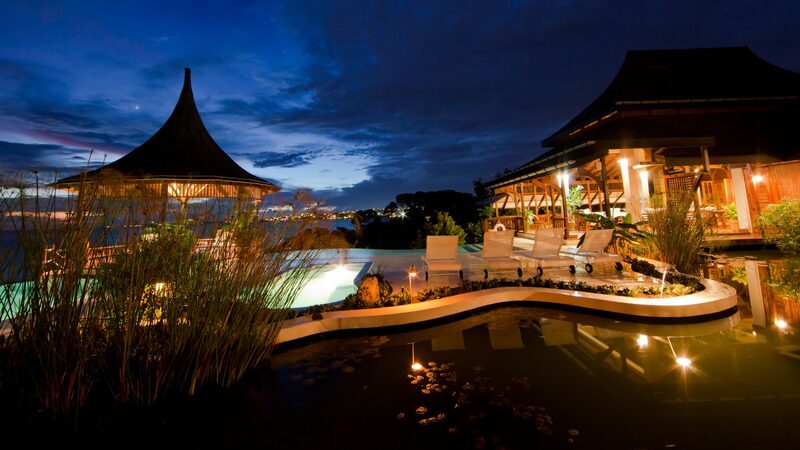 The course at Mt.Irvine is closest to the villa. 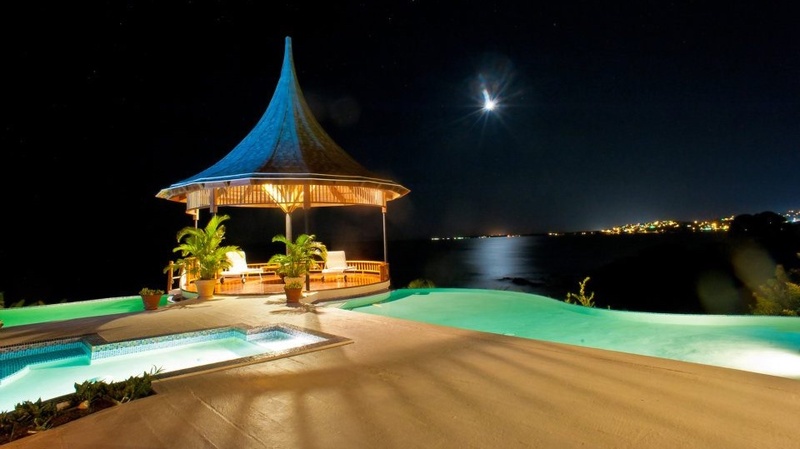 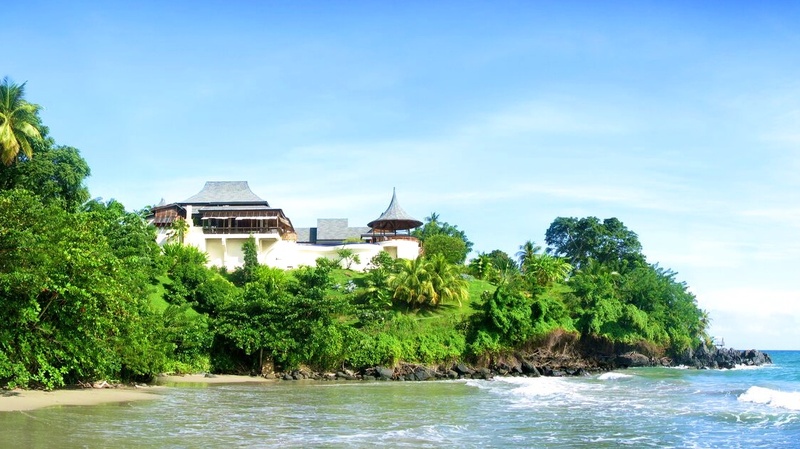 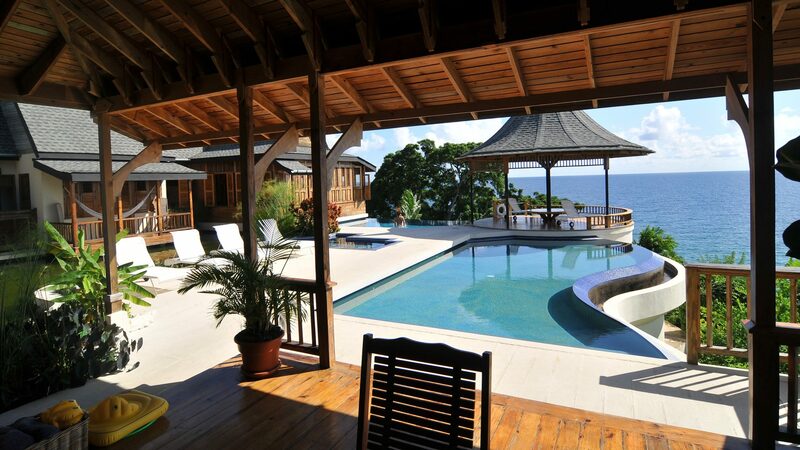 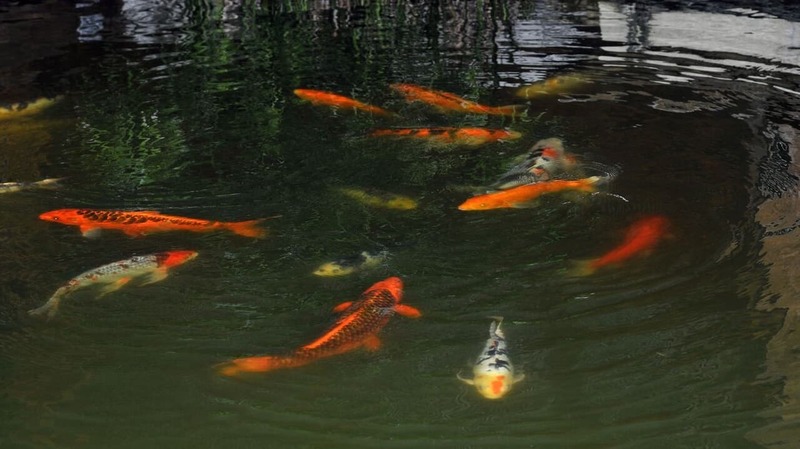 The villa is five minutes from Tobago’s largest city, Scarborough and its main docking facility. 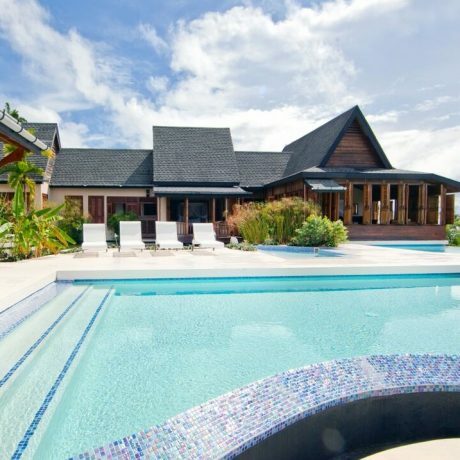 Ohana earns between $160k and $275K USD per annum depending on the season.